Today is a sad and cloudy day and I would rather stay at home than leave my couch. We got invited to my husband’s parents new place for lunch and unfortunately I will have to leave my house at some point. Their flat is not so far from ours and this 15 minutes walk should warm me up. They moved last week-end and they wanted to show to Adrien their new appartement. 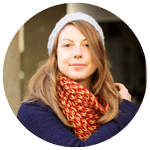 With no more children at home, they were feeling like finding a cosy appartement not too big. So it is not too complicated to maintain the house. They got the perfect place: 3.5 rooms, big kitchen, 3 balconies … They also have an extra room downstairs next to their cellar that Adrien’s mother transformed in an artist’s workshop. They look really happy and I can understand why. They have a little view on Geneva lake as well. 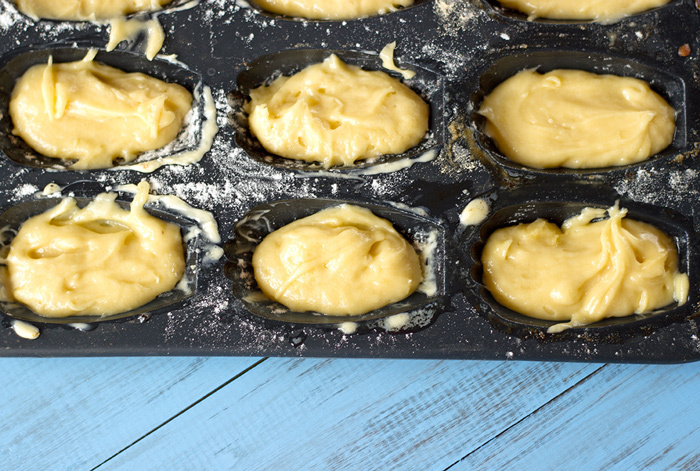 Blanch eggs with white sugar, which means mixing until pale yellow. 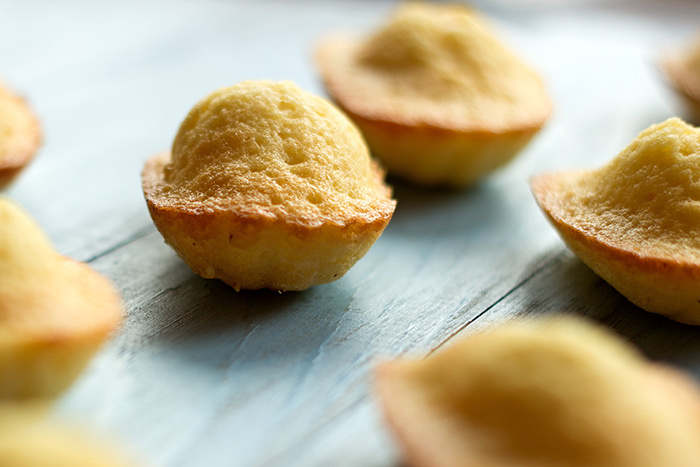 Add melted butter, flour and baking powder. Mix. Leave dought to rest for 2 hours. 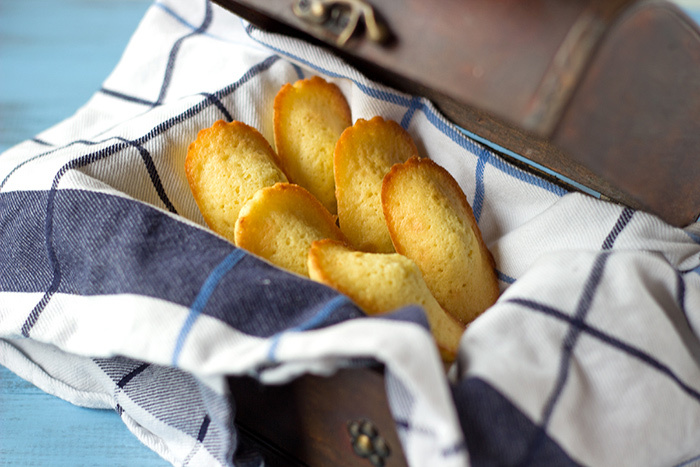 Generously butter your madeleine molds. 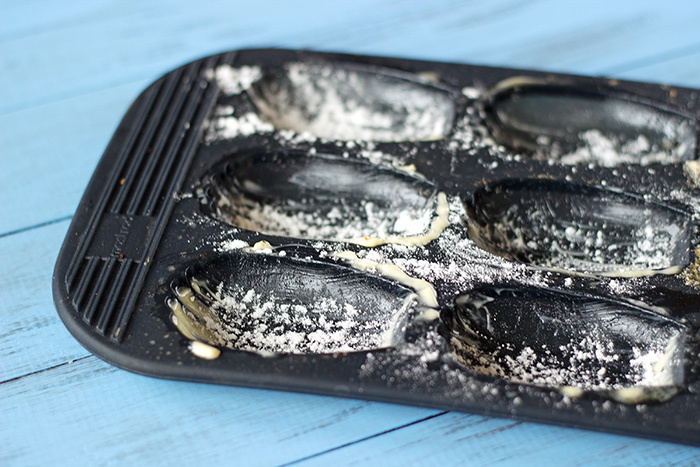 Spread a bit of flour on top of your molds and turn up side down your molds to remove extra flour. 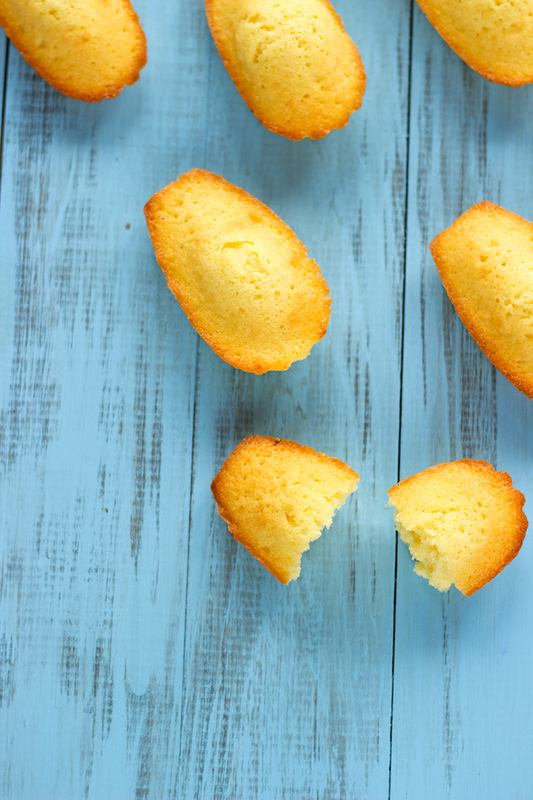 Fill your molds with madeleine paste. Bake for 8 minutes. 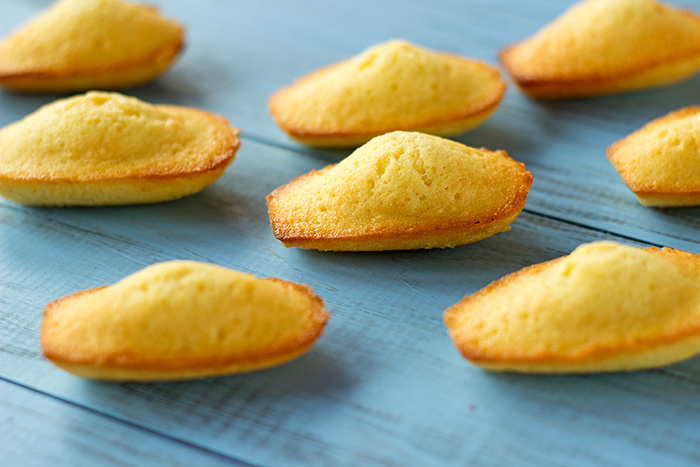 You will get approximately 16 madeleines. 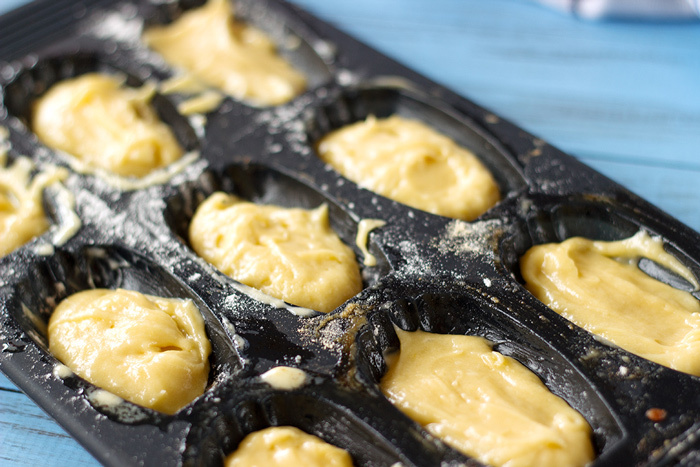 Leave your molds to cool in between two batches. 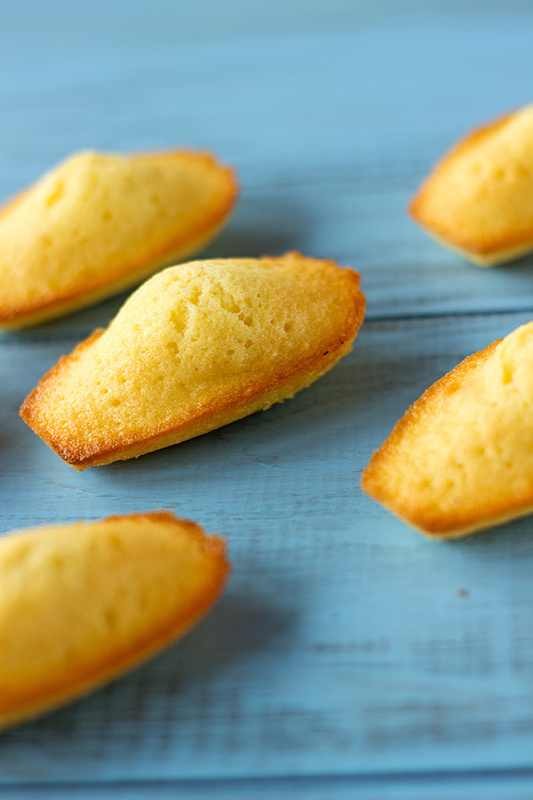 Love Madeleines, thanks for reminding me how delicious they are – need to make myself a batch soon!